The fan-favorite DC Comics character burns his way back into the DCU in a startling new series by Dan Jolley, ChrisCross &amp; John Dell! Teenager Jason Rusch has his hands full as a teenager dealing with an abusive dad and a local criminal for whom he unwisely agreed to do a job. 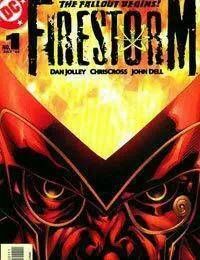 But things are going to get a lot more complicated once hes granted the powers of Firestorm! Dont miss this hot new take on a classic character!